A new concept in the medium capacity top case range. The snap-shut looking mechanism provides extra security and convenience. 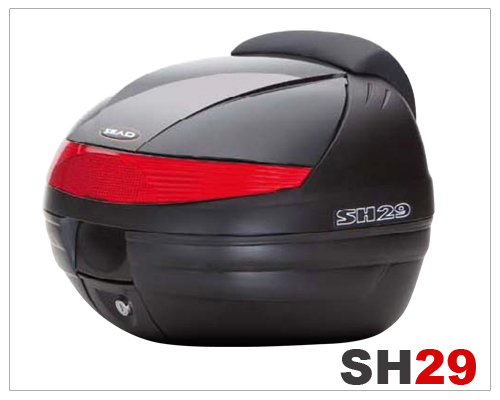 The SH29 is the ideal luggage accessory for your latest generation scooter. One of the most popular scooter cases. L x W x H: 15.9" x 15.7" x 11.1"